At least five attackers gunmen and suicide bombers launched the pre-dawn raid claimed by the ISIS group on January 29, killing 11 soldiers and wounding 16. 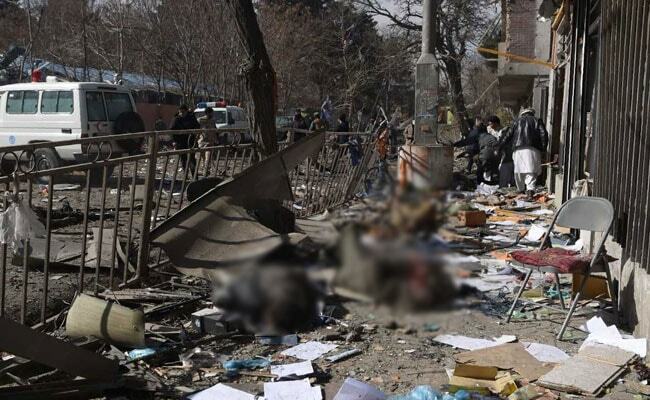 Kabul, Afghanistan: Seven Afghan army officers, including two generals, have been sacked over a deadly attack on a Kabul military base, President Ashraf Ghani said Tuesday, as the Afghan capital braces for further assaults. "Seven high-ranking officers including two generals committed professional negligence. All seven are sacked and referred for further investigations," Ghani said on Twitter after a probe into the incident. Ghani's US-backed government is under growing public pressure to improve security in the capital after a series of attacks demonstrated the ability of the Taliban and ISIS group to strike at the heart of the country. Since January 20, militants have stormed a luxury hotel, bombed a crowded street and raided the military compound in Kabul, killing more than 130 people. The assaults, including a devastating ambulance bomb attack that killed more than 100 people and wounded hundreds, have left already war-weary citizens grief-stricken and angry as the Taliban and IS escalate their offensives. The National Directorate of Security, Afghanistan's spy agency, on Tuesday seized a truck it said was carrying two tonnes of material which could be used to make bombs.